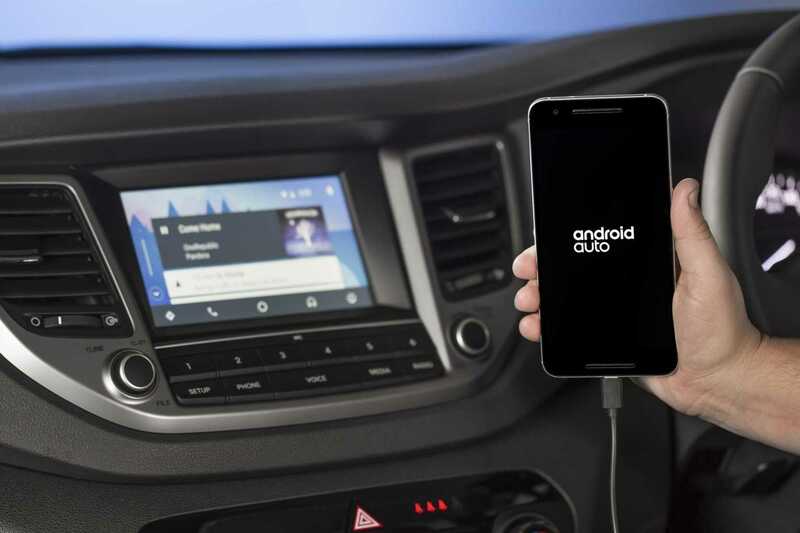 Three key Hyundai models will now feature the innovative Android Auto™ technology that seamlessly links a user’s Android-based (operating system 5.0 “Lollipop” and later versions) smartphone with the vehicle’s on board sound and communications systems. later versions) smartphone with the vehicle’s on board sound and communications systems. Android’s technology is now offered alongside Apple’s CarPlay™, meaning most smart phone users can safely access information and entertainment portals in any of these models. Hyundai was among the first to confirm Apple’s CarPlay™ system for New Zealand when it launched the Tucson in late 2015. Adding Android Auto capability to the existing provision of an interface for Apple CarPlay™ means all smart phone users* can control audio system sources and levels, make and receive phone calls using SIRI voice commands (for iOS), compose and play back text messages and a form of navigation software as well, like Google Maps for Android Auto™ and Apple Maps for Apple CarPlay™. The system also gives direct access to some of the ‘apps’ on the user’s phone. These apps include Google Maps, Spotify, iHeart Radio and Google Play Music. “This means increased enjoyment and convenience for our owners, and it also means enhanced safety. This is really the next step in intuitive vehicle communications,” said Mr Sinclair.